Losing someone due to another person’s recklessness or negligence can be one of the most difficult events a person can experience. If you decide to bring a lawsuit against the person who caused your loved one’s death, it can seem overwhelming, even though in most situations it is the right thing to do. Ensuring that you understand your options is a good first step. Am I allowed to sue for a wrongful death? In Florida, the only person who can technically bring a wrongful death suit is the personal representative of the deceased person’s estate. However, they can bring that suit either on behalf of the estate itself (which is then called a survival action), or they can bring it on behalf of the decedent’s spouse, minor children, and parents. In some cases, if they were “partly or wholly dependent” on the deceased person “for support or services,” a suit can be brought on behalf of biological or adoptive siblings, or other blood relatives. Aunts, uncles, cousins, and other relatives who were not dependent on the decedent have no standing to sue in Florida. Do I have to file suit immediately? I feel overwhelmed! Not necessarily immediately, but it is better to file sooner than later. Florida sets a two-year statute of limitations on actions for wrongful death, meaning that you have two years from the date of the decedent’s passing in which to file suit. 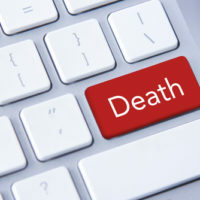 The one exception to this rule is if the death resulted from an intentional tort (which is the civil version of a crime), such as murder – in these rare cases, no statute of limitations exists. What is the difference between wrongful death and murder? The former is civil; the latter is criminal. Murder cases are handled by the state, and deal with punishing malicious intent on the defendant’s part. Wrongful death cases are civil and handled privately, and the issue is whether someone acted recklessly or negligently, not maliciously. What do I have to show to prove wrongful death? Wrongful death is a cause of action that is usually brought under a legal theory of negligence, meaning that you must be able to show that the defendant was negligent, and that their negligence caused the death of your loved one. There are four things you must establish: (1) that the defendant had a duty to exercise reasonable care toward the plaintiff; (2) that duty was breached; (3) the breach of duty happened directly because of the defendant’s conduct, not because of anything else; and (4) the family members and other survivors left behind were directly affected because of the death. How much is my wrongful death claim worth? Unfortunately, there is no way to gauge that, because every wrongful death case is different, with different facts and personalities involved. Any attorney who makes monetary guarantees is engaging in a bit of wishful thinking; it is better not to fixate on numbers, and think more on proving a case. If you have experienced the wrongful death of a loved one, you need a knowledgeable attorney that is well versed in the relevant law so that your case has the greatest chance to succeed. The Orlando wrongful death lawyers at the Hornsby Law Group are familiar with these types of cases, and we are happy to put our experiences to work for you. Call our office today at 866-300-5468 to schedule a consultation.